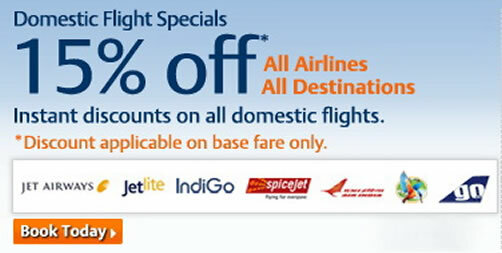 DISCOUNT AIRLINE TICKETS FOR LESS! 5 STAR HOTELS AT 3 STAR HOTEL PRICES! LOWEST PRICED TRAVEL DEALS FROM ALL MAJOR COMPANIES! 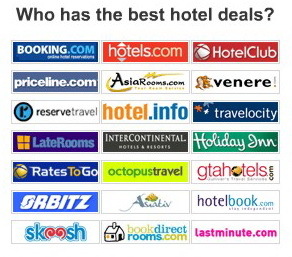 SEARCH 30 HOTEL / TRAVEL SITES AT ONCE!! Finding Cheap and Discount Airline Flights on Airline Websites and "All in one Travel Websites"
1. Plan in Advance. The further out you know your travel schedule, the more time you will have to watch airfare prices and save even more money. 2. Be patient, but not too patient. If you’ve been researching for a while and a good price comes up, get it immediately. 3. Buy direct from the Airline’s website or an "all in one travel website". Most major airlines now guarantee the best prices on their own sites (though occassionally this isn’t the case.) There are two reasons to book directly with the airline you will be flying. Most Major airlines don’t charge internet fees and most "all in one travel websites" have done away with fees. 4. Check Southwest Airlines or the links on this page. For some reason, Southwest Airlines isn’t searched by the flight Aggregators. If you are flying somewhere that they fly to, check their website for prices. 5. Be flexible. If you are able to leave on Thursday and return on Monday you will often get better prices than if you fly Friday to Sunday. 6. Don’t listen to the people who claim they can beat the system. Just like the stock-market, there are all sorts of people who claim they know what they’re talking about and they’ll tell you to only buy on certain days and certain times, etc. Go with your gut. If you’ve been researching prices and you feel that you’ve gotten the best one, you probably have. 7. If the price goes down, it never hurts to ask. Sometimes you will buy a ticket and the price will drop the next day. It doesn’t hurt to call the airline or the "all in one travel website" and see if they’ll reduce your price. If they wont, don’t kick yourself; it happens to everyone. 8. Consider the time of day that you fly and how it will affect your total transportation cost. If you can use public transportation to get to an airport, make sure you don’t buy a ticket for 6am before the subway has opened. (Likewise, if someone can drive you, don’t buy a ticket that is right in the middle of their work day). If you hadn’t paid $20 for that taxi ride, you may have been able to purchase a better plane ticket. 9. All clickable links on this airline tickets page have been researched to have the best rates online at the time of research. 10. All the leading travel groups offer air and hotel travel packages. The reason for this is because packages can be assembled at a discounted rate when purchased together, and the online travel company can make two sales instead of just one. So in a way, purchasing an air and hotel package together makes sense for the consumer looking for a cheap flight and a cheap hotel. Save Big on Last Minute Airfare Deals. Get $10 off with coupon code LASTMIN10. Book Now! Our website (aviation explorer) has checked an endless amount of travel sites and found the ones that will save you the most money. We have added every single discounted website to this page to help you find your vacation or business trip easy and all from one single page. Our extended and endless amount of research to find the best rates on Airlines and Hotels will be proven when you click a link and see hundreds of last minute deals and great prices on all forms of travel. We hope you will find our page as useful as we have intended. Feel free to browse the sites on this page and remember to click your back button to come back to this page...... Have a Safe Trip!